Lovely Professional University is easily accessible as it is located on the Jalandhar-Delhi G.T. 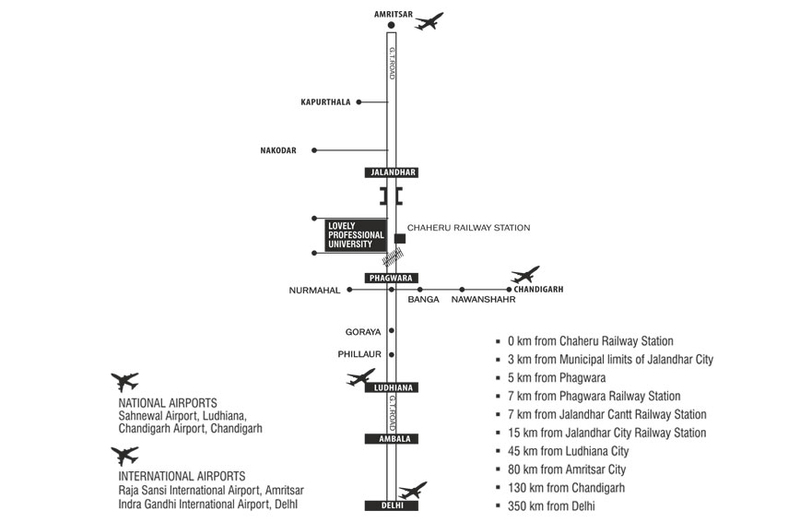 Road (Punjab) and is well connected by rail and road; having a reasonable distance from the airports, bus stands, railway stations etc. G.T. Road, Paragpur, Jalandhar, Punjab, INDIA.